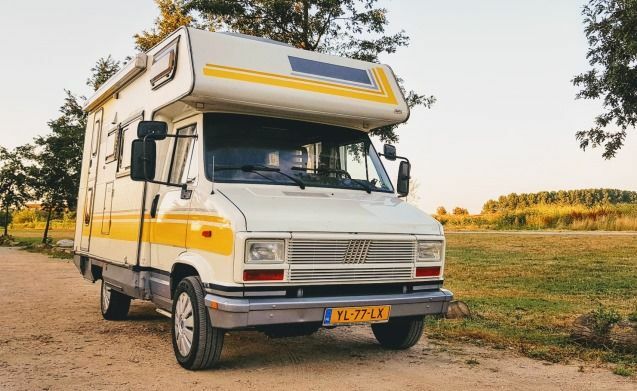 Meet "Mellow Yellow": Retro camper for adventurers. Pets allowed! 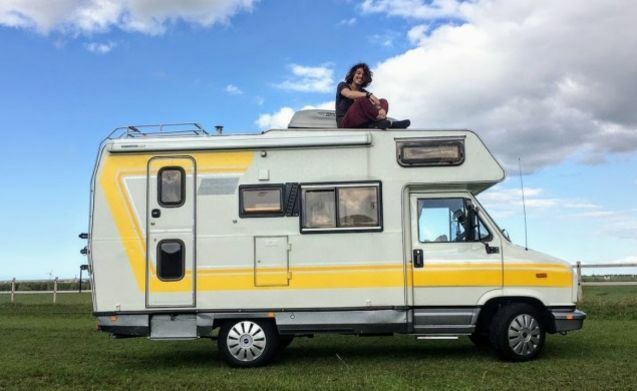 Tough, robust camper looking for a couple, family or group of friends to go on an adventure! Imagine: after a nice trip with a nice music in the background you arrive at your destination. You roll out the canopy, pour yourself a drink and prepare a delicious meal on the barbecue outside. Then you dive into your comfortable bed after a beautiful sunset. In the morning you get up with the smell of freshly ground coffee while you are treated to a breathtaking view from your lazy camping chair. This just describes a day out of the trips that my dog ​​Bono and I have made in our camper Mellow Yellow. 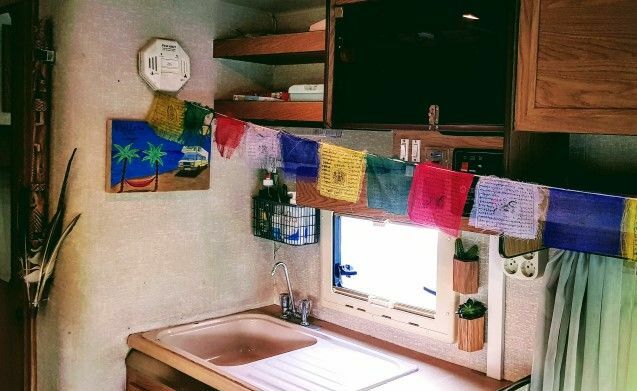 This retro camper does not turn its wheels for a big road trip. So last winter he transported us to the most beautiful places without problems: from the beautiful coastline in the Algarve to the eternal snow of the Sierra Nevada and via the ferry even to the spectacular Morocco. 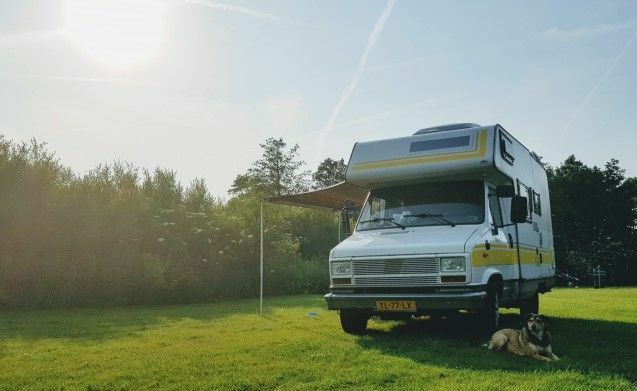 Motor and technical, the motorhome of the Fiat Ducato 2.5 Diesel is extremely solid and well maintained (until one year ago it was the private motor home of a car mechanic). Thanks to the built-in cruise control, large 16-inch wheels and air suspension, you can enjoy relaxing cruising on long distances. Because of the compact dimensions, it is also easy to maneuver, so you can also get along with it in busy cities. The bike is no problem: you can lose two on the bike carrier. 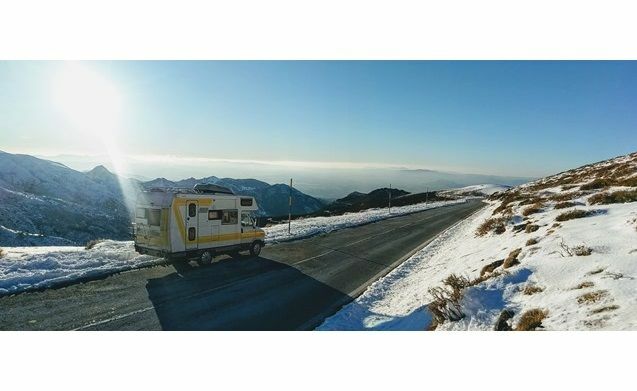 A long road trip is of course not complete without nice music with good sound: that's why the camper has a brand new audio system from Alpine + Gladen. That will be bleached on the go with your favorite playlist. 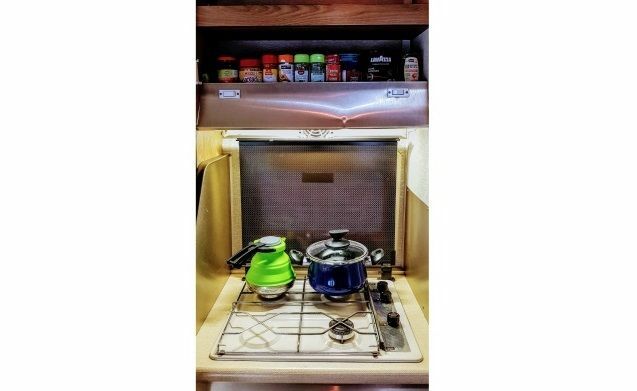 The camper has a powerful 130 watt solar panel and 100Ah household battery, two gas cylinders, refrigerator on gas or electricity, large water tank, shower and toilet, gas stove and water heater. 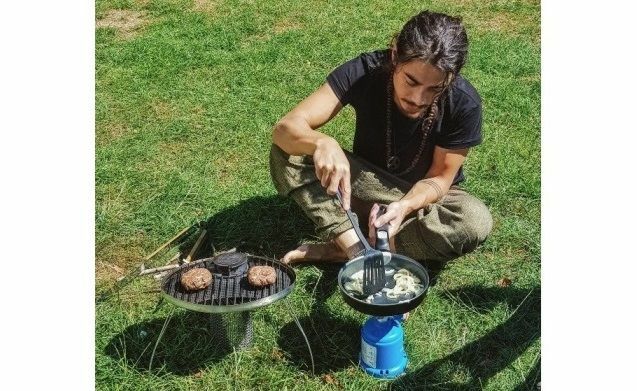 In short: everything you need for camping, but also when you spontaneously go camping for a night or even want to live off-grid for a while! The inventory has also been completely renewed. On board you will find good pans, colorful bamboo plates and glasses, a 3-burner gas stove, and for the outside tubes a gas burner and Biolite barbecue grill that works on wood chips or twigs. 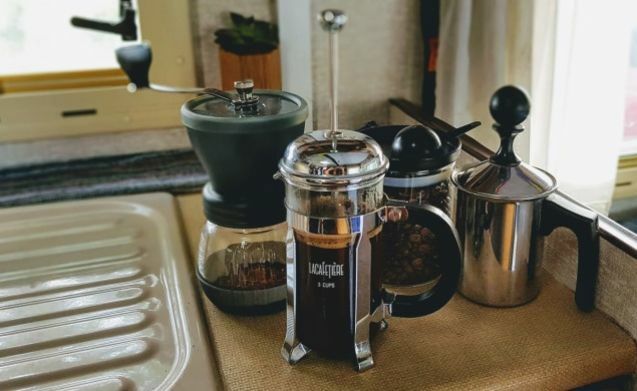 Put your own freshly ground coffee with the coffee grinder, coffee machine and milk frother. I have already prepared good coffee beans and a delicious herbal tea for you. No matter how adventurous you are, sleeping comfortably is of course a plus. 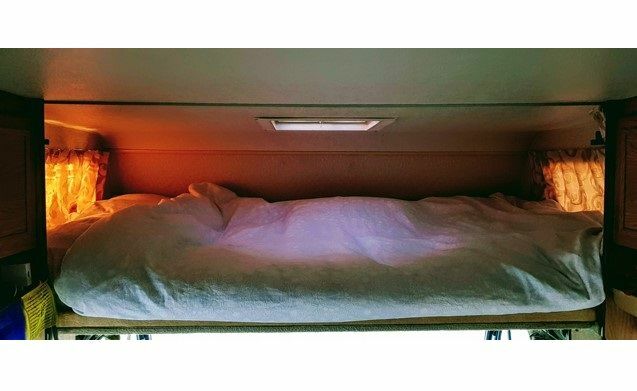 That is why the motorhome has two tailor made HR55 foam mattresses and bedding that is suitable for both hot and cold conditions. 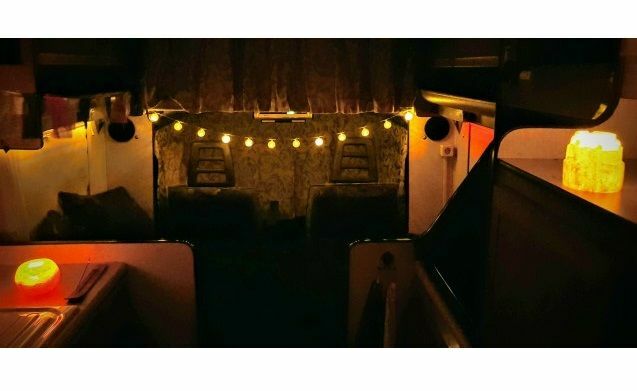 There is seating and sleeping place for 4 people (the mattresses are 120x190cm). You only bring bedding (duvet cover, fitted sheet, pillowcases) and towels and tea towels. In the evening, of course, you can light up the atmospheric lights and candles, and possibly an incandescent (is also waiting for you). 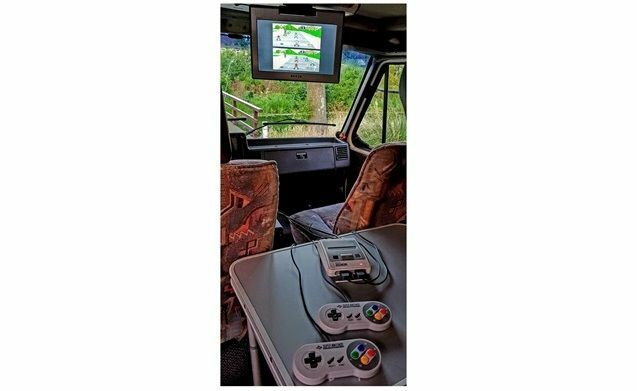 Even on a rainy day you do not have to get bored: on board you will find a Super Nintendo with 21 classic games, such as Mario Kart, Donkey Kong Country, Megaman and Legend of Zelda. If nostalgic gaming is not your thing, then you'll probably enjoy playing with Settlers of Catan, Bonanza or an old-fashioned game of cards. And of course your pet is also welcome! I hope you enjoy the feeling of ultimate freedom as much as we do. We expect you to hand in the camper as you have received it. 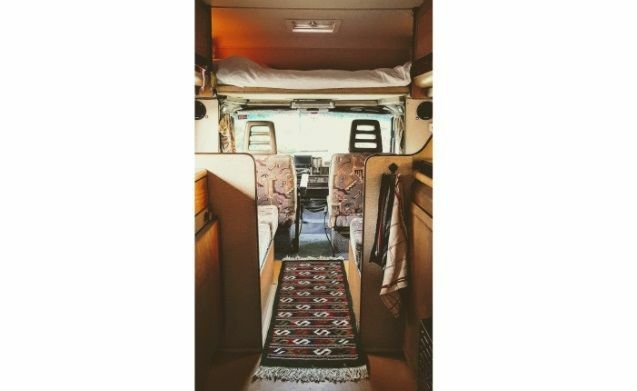 We expect the camper to be cleaned properly inside and out. 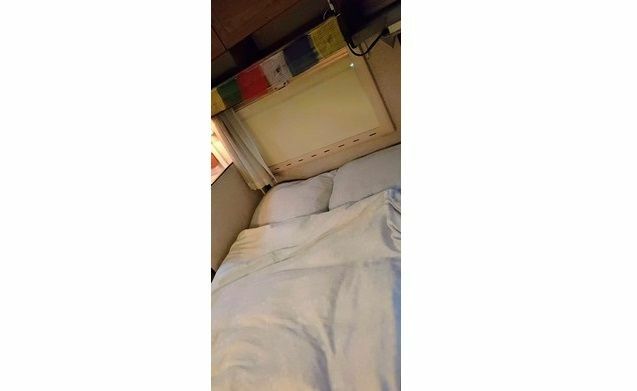 If the camper is not handed in cleanly, cleaning costs will be charged. 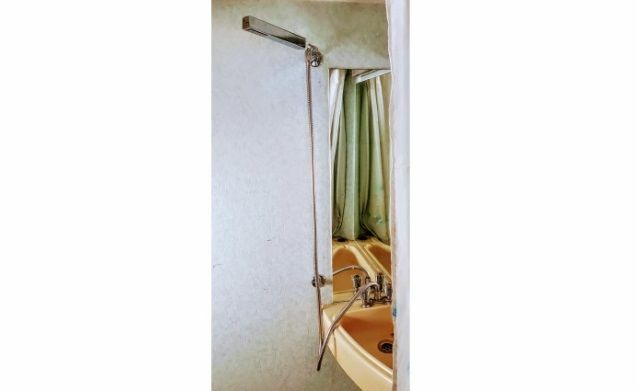 We also expect that the fuel tank will be refilled on return, the clean water and waste water tank will be empty again and the toilet will be emptied and cleaned.